Ribbon Cutting: Anthony's Coal Fired Pizza Natick! Name: Ribbon Cutting: Anthony's Coal Fired Pizza Natick! 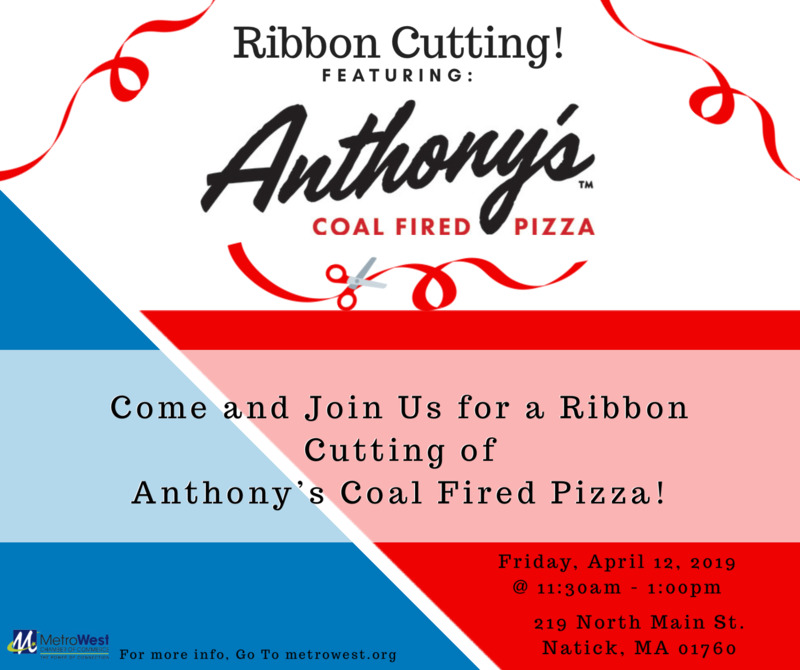 Join us April 12th for a Ribbon Cutting of the New NATICK Location for Anthony's Coal Fired Pizza! They have recently exhibited at the 9th Annual Taste of MetroWest and have made quite the impression! From their coal fired pizzas to their homemade meatballs, everything is delicious!